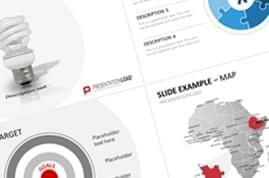 Three sets with different design concepts to create unique PowerPoint presentation agendas. 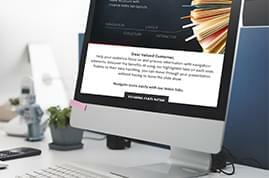 Design your own unique presentation agenda using icons, background images, and a large selection of layouts in one practical bundle. An agenda introduces, structures, and outlines the content you are sharing with your audience. 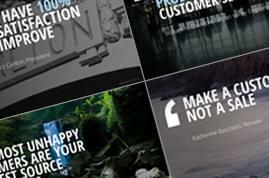 An effective agenda design is essential to any business presentation. 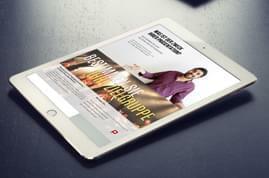 Along with traditional bullet point lists, inventive layouts using icons and images are becoming increasingly popular. A creative and vividly designed agenda will immediately focus your content and grab your audience’s attention. 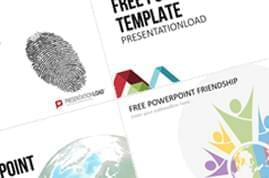 Our bundle provides a large selection of predesigned agenda slides. Choose from a wide range of high-quality images and icons to illustrate each chapter of your agenda. Or organize your agenda content by using mind maps, three-dimensional images, tables, and many other design options. Explore an extensive selection of business-relevant icons to illustrate topics such as sales, finance, communication, development, and more. Various layout options, as well as different color schemes are available. 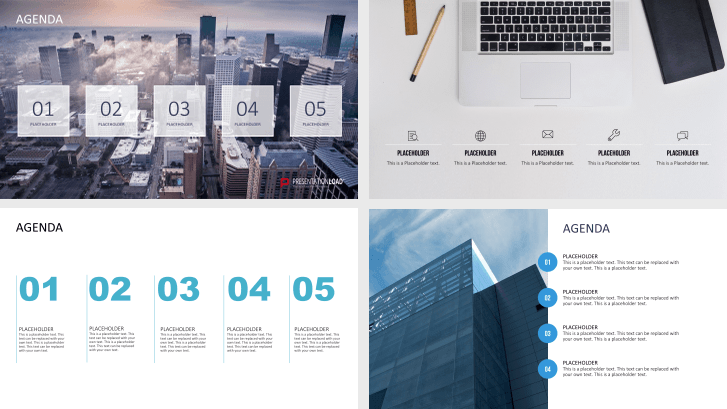 This set contains a versatile collection of background images of business settings and architecture. The layout of the agenda is adapted to each individual background. In the Agenda Toolbox, you will find many two and three-dimensional design options. Included are various layouts in the form of mind maps, timelines, lists, and more.